A series of workshops which deal with the key issues relating to the promotion of self-esteem in schools is offered. 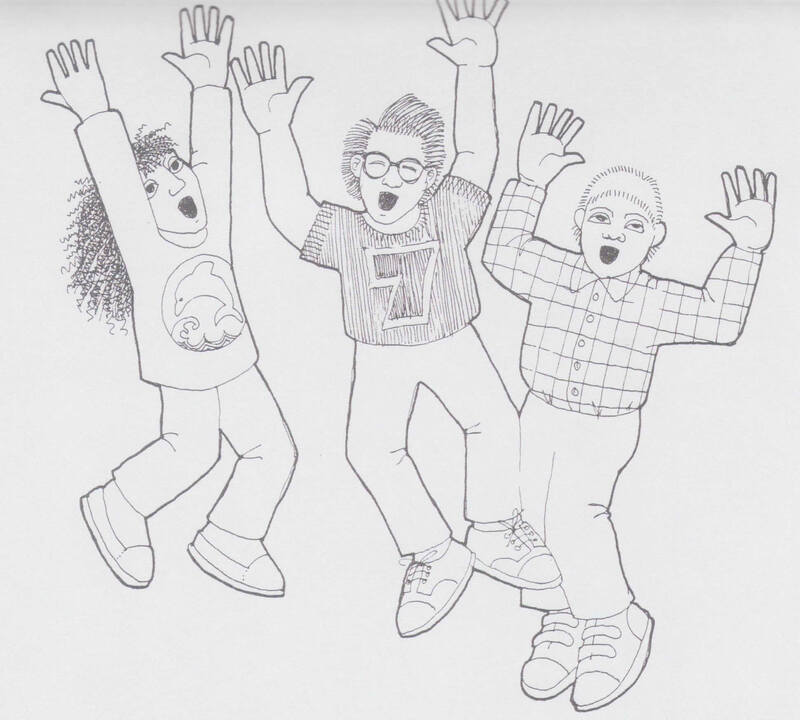 There is much evidence to show that pupils with high self-esteem learn more readily and present far fewer behaviour problems and that teachers who use esteem raising strategies are giving their students an incalculable asset for their present and future lives. It is recognised that a high level of self-esteem is the jet fuel for our motivation and greatly increases the likelihood of success as well as being the foundation on which our sense of well-being and contentment depends. Difficulties in both learning and behaviour are invariably caused by low self-esteem. In this workshop self-esteem will be defined, the causes of low self-esteem and its implications discussed and ways to assess students self-esteem explained. A diagnostic approach will be offered and an introduction to the Circle Time model will alert participants to an ideal way to help build and maintain the self-esteem of every member of the group. An experiential workshop designed to equip group leaders with the knowledge and skills necessary to conduct Circle Times with their group or cascade them. 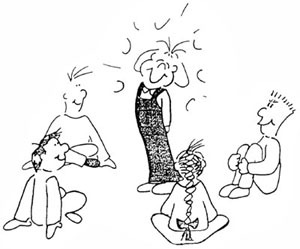 Circle Time is now widely accepted as an excellent vehicle to use to promote values education and to open the doors for young people of all ages to an understanding of their emotional lives. A whole range of activities will be introduced, suitable or adaptable for the whole age range 5 -18, which could also be used with benefit in tutorials or the 'odd five minutes'. This workshop is intended for those who wish to take a proactive approach to good discipline and to foster excellent relationships in a school. Based on the notion that we are all likely to try harder when we perceive success to be within our reach, this workshop offers many simple strategies for encouraging growth, building cooperative goal structures and focusing on the positive aspects of performance. Teachers with high self-esteem bring out the best in their students; they are certainly likely to have satisfying professional lives. Participants will be invited to explore ways to nourish their own self-esteem and personal resources and to experience a structured team building plan to promote staff morale, with many practical ideas to use in the staff room. Workshops 2, 3 and 4 are available in both one or two day formats. The latter need not be taken on consecutive days. Further details supplied on request. A key factor in the debate on strategies for raising pupil achievement is self-esteem. All successful schools, regardless of age of pupils, size, buildings, catchment area, have one thing i n common - the enhancement of the self-esteem of their members. Self esteem is concerned not merely with pupils feeling good about themselves, but also about becoming positive, taking pride in themselves, their assets and accomplishments, and consequently developing a real sense of personal competence. Healthy self-esteem is based on both competence and self-respect and can be defined as having confidence in one's ability to deal with life's challenges and also feeling worthy of respect, achievement and happiness. Where this exists school achievement will certainly be high. An extensive study of the research on the relationship of self-esteem to academic achievement shows a positive association between achievement and indices of self-esteem; as the level of self esteem increases, so do achievement scores, and as self-esteem decreases, so does achievement. Not only is academic achievement affected; discipline problems and all the associated tensions and stresses diminish considerably as well. Everyone benefits. Professionals with high self-esteem are much more able to take on the extraordinary challenges that are associated with teaching and bring confidence, competence, high energy and performance to the role. Every opportunity must be taken to raise awareness of the need to enhance and nurture self esteem and that entails a concerted effort . Teachers must take responsibility for building trusting relationships, setting and consistently enforcing reasonable limits and rules, based on democratic procedures, and creating a positive and caring environment. If they do they will be rewarded by instilling in their students a sense of security, the key element for building self-esteem. Maslow said "Only a child who feels safe will grow forward healthily " Further strategies are called for to help to build the other four elements of self-esteem - a sense of identity, of belonging, of purpose and of competence. These strategies are best introduced in time set aside for this purpose. It is every bit as important as any other subject in the timetable, if not more so, and an investment in this approach rapidly pays dividends. The research concludes that self-esteem can be modified through direct instruction and that such instruction can lead to achievement gains. When the strategies are then put into practice throughout the rest of the school day, in every activity which takes place, the rewards are indeed great and soon become evident to everyone involved. This is because when self-esteem is high, the ability to be successful in learning, in human relationships and in all the productive and creative areas of life is unlimited. Headteachers are said to be worried that if they respond to pupil violence with self-esteem programmes they will "invite ridicule" (TES March 8, 1996). In my view any ridicule that arises can only stem from ignorance of what self-esteem is and how crucial it is to a healthy life. It may, of course, have got a bad name from poor practice and from instances in schools where the theory has been inappropriately applied. That is unfortunate, and-not the fault of the self-esteem movement. Self-esteem is the experience of being able to cope with the basic challenges of life and of being worthy of happiness. It has two components: self-efficacy - confidence in our ability to think, choose and make wise decisions - and self-respect - confidence in our right to be happy and a belief that success, friendship, respect, love and fulfilment can be ours. The basic challenges include such fundamentals as being able to take independent care of ourselves, sustaining relationships that are mostly satisfying, having the resilience to bounce back from setbacks and perseverance. Teachers often think that arrogance and bragging.are signs of over-developed self-esteem. In fact they are a clear indication of the lack of it, often brought about by a need to overcome insecurity. Self-esteem is not conceit. Sound approaches to self-esteem are based on realism, not inflated self-images. It is not the intention to promote groundless feelings of euphoria, but certainly to encourage an optimistic outlook. Self-esteem is concerned with children not merely feeling good about themselves, - but also about becoming more positive, taking pride in themselves, and consequently developing a sense of personal competence. If teachers examine the causes of bullying and other chronic misbehaviours - the showing off, the fighting and the failure which some children have adopted - they will discover that low self-esteem is at the root of it. These children behave as they do because of strong feelings of inadequacy and internal blame, a belief that they do not possess the ability or intelligence to succeed. Low self-esteem causes untold turmoil and misery. Studies have found links with low achievement, truancy, crime, violence, alcohol and drug abuse, teenage pregnancy and suicide. Dr. Neil Smeizer, co-author of The Social Importance of Self-Esteem reviewed over 30,000 studies and concluded that low self-esteem was a root cause of many social problems. He believes that self-esteem is the central mechanism through which these problems can be mediated. A small scale investigation by members of Manchester University's School of Education which reported last year, found that levels of self-esteem decreased in children over a four year period from when they were in Year 2 (aged around six) to Year 6 (aged 11). Significantly too, the scores of the 11 year-olds were considerably lower than those of children the same age tested 13 years previously. If we consider the appalling rise in exclusions, the link between the increase in one and the decrease of the other is too obvious to be ignored. Self-esteem is essential to normal and healthy development. Teachers are in a powerful position to influence a child's esteem. Where schools adopt practices and policies which promote it (among staff as well as children), discipline problems and all the associated tensions and stresses diminish considerably. The consequences can be dramatic. When self-esteem is high, the ability to be successful in learning, human relationships, and all the productive and creative areas of life is unlimited. Given what we know about its effect, head teachers should not be deterred. Ridicule is a classic initial response to any new idea. I have seen it change, slowly to the trivial stage where hesitancy still remains. From there people will move, eventually, to acceptance when everyone understands its value and becomes champions of it. Eight years ago there was an article in The Lancet which said that doctors' surgeries were full of depressed people, that the nation was suffering from an epidemic of low self-esteem, and appealing to educationists to help. I would be delighted if I could write with confidence that the need had now been recognised in every school, for the of good of every child.